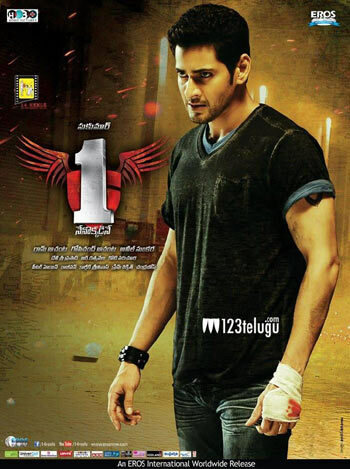 Mahesh Babu’s upcoming film ‘1’ is going to open big in Hyderabad. The latest reports suggest that the film is going to release in a whopping 108 theatres across the city. Moreover, all the multiplexes are expected to cater maximum number of shows to the film since it’s the biggest film to release on January 10. The final count of screens and shows on the first day of the film’s release is yet to be finalized. Directed by Sukumar, ‘1’ is one of the most eagerly awaited films of the year. Ever since Mahesh Babu said that it’s going to be a landmark film in his career, his fans are all the more eager to see what the team has done. The trailer has got tremendous response and action sequences are likely to play a key role in the film. The songs have already received good response and Devi Sri Prasad, who is scoring music for the first time for a Mahesh Babu’s film, has gone all out to make it as one of the best albums in recent times. 14 Reels Entertainment has produced the film and Eros International has bought the film for a huge amount. Ratnavelu is the cinematographer.